Tie Strips, HO 8x8 16 Inches long. 12pcs. Need a small amount of tie stock and do not want to purchase a whole bag of ties? These 16" long strips are the same size as our regular White Pine individual ties. Cut them to any length needed. Mt. 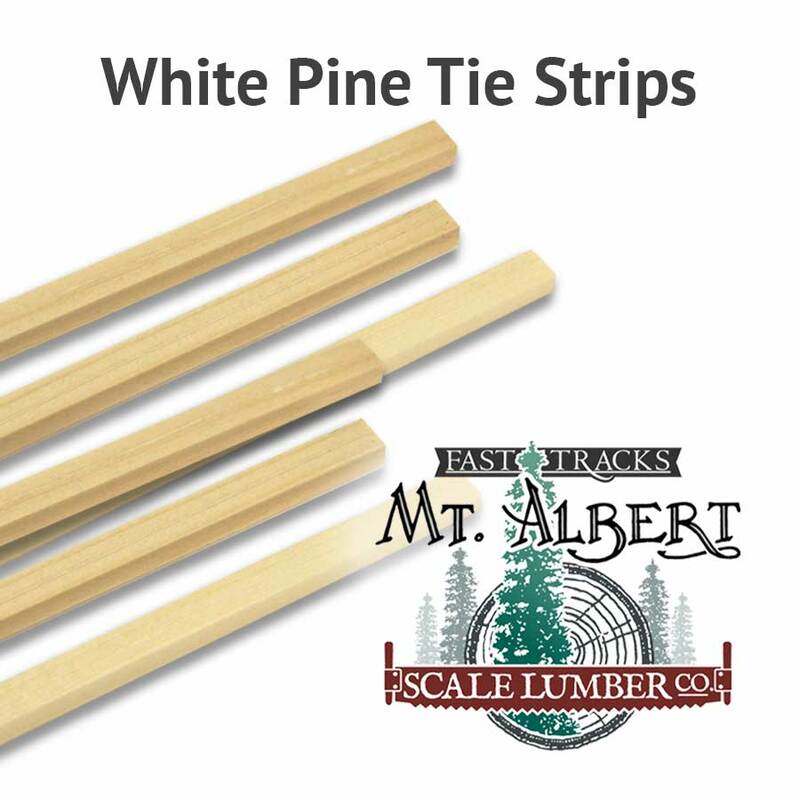 Albert tie stock is cut from the highest quality White Pine available. Cut to consistent dimensions, with a tolerance of +/- .003" (less than the thickness of a sheet of paper) this material is ideally suited for all types of scratch building projects. These HO scale, 8"x8" tie strips are sold in a package of 12, 16" (406 mm) long pieces. NOTE: This product was sold under the part number MA182P24 in the Mt. Albert Scale Lumber catalog. The Fast Tracks part number for this product is now TIESTRIP-HO-8x8-16. Model Size Imperial 0.092" 0.092"
HO Tie Strips Ties 8x8 - 16 Inches Long (0.092 x 0.092) 12 ties per bag.